the pot, which gradually made its way around the lecture room. 250 specimens available online for medical students. specimens, nor borrow them from the department to study for examinations. morphology of diseases with more clarity. be viewed concurrently during lessons. value-added contributions such as annotations, adding links or cases. process involves a carefully orchestrated photoshoot. process takes about 45 minutes per specimen. students to access them for their own learning. in terms of their use – students can study them any time they want to. The updated web resource is called Pathweb and has two main sections. systemic pathology, according to their curriculum. hand-written, drawn or produced by Assoc Prof Nga. them to engage in self-directed learning. and colleagues around the world. than 5,000 dissected and preserved specimens of human organs and tissue. 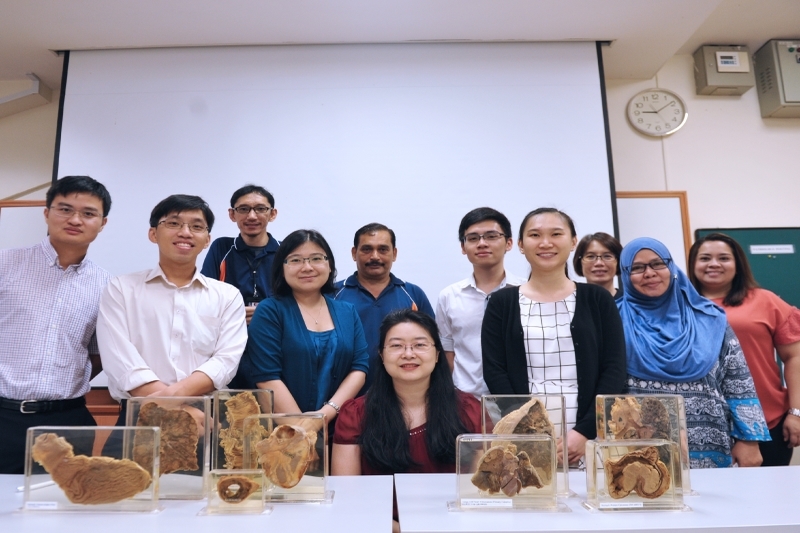 specimens by the end of 2019, with the help of her team.